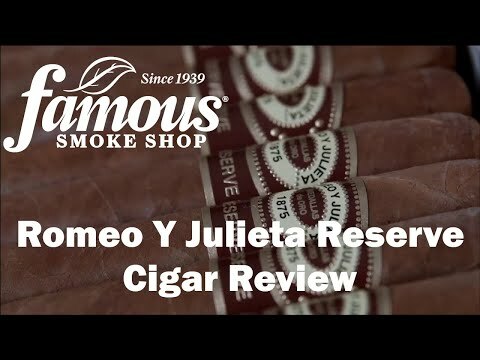 Romeo y Julieta Habana Reserve premium cigars are the most full-flavored, medium-bodied Romeo y Julieta cigars ever! Handmade in the Flor de Copan factory in Honduras, the Habana Reserve combines Romeo y Julieta's legendary creamy-smoothness with the rich, hearty flavor of only the most choice Nicaraguan & Honduran long-filler tobaccos, seamlessly rolled in dark, oily Nicaraguan wrapper leaves. A marvelously robust cigar brimming with earthy-spicy tobacco flavors on a long finish with a sweet and spicy aroma, too. Wonderful for enjoying in the morning or later in the day. Add some to your cart now.